Dr. James AuBuchon has a distinguished career in transfusion medicine and blood research, having trained at the National Institutes of Health before serving in regional and national positions of the American Red Cross Blood Services and 18 years at Dartmouth–Hitchcock Medical Center as Medical Director of the Blood Bank and Transfusion Service, and later as Chair of Pathology and Professor of Medicine at Dartmouth College. He served as a member of the Advisory Committee on Blood Safety and Availability of the U.S. Department of Health and Human Services and has chaired the Biomedical Excellence for Safer Transfusion Collaborative, an international research group dedicated to improving transfusion. He was elected a Fellow of the Royal College of Physicians of Edinburgh in 1999 and is a Past President of AABB. Christie Donatelli came to Bloodworks in 2014. A highly skilled senior executive with 20 years of GXP experience in pharma, biotech and contract research, she previously served as Corporate Compliance Director at Dendreon Corporation. Her expertise spans corporate-wide quality and compliance programs (domestic and international facilities) in alignment with FDA regulations, ICH guidelines, corporate SOPs and relevant regulatory standards. She has also held senior management roles in U.S./Global Regulatory Affairs and Quality oversight with PathoGenesis and Chiron Corporations. Robert J. Gleason, CPA, has 35 years of experience in senior financial management positions. He has overall responsibility for finance, accounting, fiscal planning, materials management and facilities. Prior to joining Bloodworks, he served as Regional CFO at Omnicare in Ohio, along with roles at Voca Corp and Price Waterhouse. In 2016, Puget Sound Business Journal named Bob “CFO of the Year” for the non-profit sector. He is currently on the board of the Northwest Healthcare Response Network and has served as a board member of GSABC, the group purchasing organization servicing community blood centers, and is on AABB financial committees. Sue Nixon joined Bloodworks in 2016 as chief marketing officer, backed by more than 25 years of leadership and consulting experience in marketing, branding and communications that spans the private, public and non-profit sectors. In 2007, Sue founded her own agency to guide clients in the use of customer insight to align brands, messaging and business strategies to build business and grow revenue. She has also served as chief executive officer of Fitch global design studio in Seattle – part of a worldwide network of retail and brand experts. Aaron Posey joined Bloodworks in 2017 and is the Chief Ventures Officer for the organization. This position is dedicated to an enterprise-wide assessment and prioritization of assets related to services, technologies and intellectual property that have strong potential for commercialization. Aaron has nearly 20 years of experience in healthcare and has worked throughout the Seattle area in biotechnology, academic research and hospital administration. 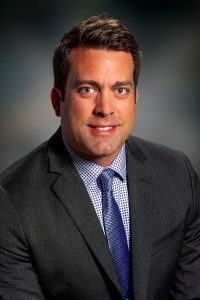 He has received a Bachelor of Science degree in Biology from Whitworth University, an Executive Leadership Certification from Seattle University and a Health Executive Leadership Master of Business Administration from Seattle University. Anne Sauget has been with Bloodworks since 2000 and has been directly involved in operational and human resources management for the past 30 years. Graduating from the University of Washington with a Bachelor of Science degree in chemistry, she began her career in retail management and served in several frontline management roles for ten years. She transitioned into Human Resources management in 1995. Since that time, Anne has served in both individual contributor and management roles in Human Resources. She was directly involved in human resource management related to Bloodworks’ sale, partnership and merger activities with LifeNet Health, Blood Systems, Inc. and Lane Blood Center. In 2016, she partnered with Bloodworks Operations to formally recognize Bloodworks’ volunteer corps as a key segment of our workforce, resulting in the creation of the Workforce Resources group to include Human Resources and Volunteer Services. Tresa Thomas Massiongale joined Bloodworks as Chief Investment & Partnership Officer in 2017, a position dedicated to charitable gifts and investments that accelerate blood research and commercialization which advance our mission. She has a particular focus on philanthropic and investment partnerships based on impact capital and social entrepreneurship. Prior to joining Bloodworks, Tresa served in senior program and development roles for healthcare organizations and government entities in California, New York, Washington, DC, and Arizona. Tresa holds the designations of Certified Fund Raising Executive and Chartered Advisor in Philanthropy. She earned her Bachelor of Arts degree at San Francisco State University, Master of Arts degree at Columbia University, and trained in Social Impact Strategy at the University of Pennsylvania. She currently serves on the Board of Directors for the Social Enterprise Alliance and AUDIT USA. Joe Vetto joined Bloodworks as Chief Information Officer in 2014. He brings over 25 years of information technology and business experience from start-ups to mature organizations across multiple industries, including biotechnology, pharmaceuticals, financial services and printing. An entrepreneurial leader with international experience, Joe brings a unique blend of business and technical acumen to deliver technical solutions to solve business challenges. 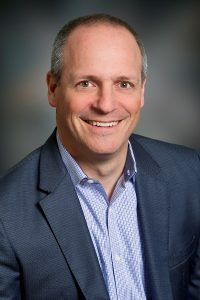 Prior to joining Bloodworks, Joe served as the Director of Enterprise Data Management and Commercial Systems at Dendreon. Dr. Yanyun Wu came to Bloodworks in 2013 from Yale University, where she was Associate Medical Director for Transfusion Service, Apheresis Service, and Cellular Therapy Laboratories at the Yale-New Haven Hospital, Director for the Transfusion Medicine Fellowship, and Associate Professor in the School of Medicine. She is recognized globally for her knowledge in transfusion practices, apheresis therapies, physician collaboration and regulatory processes. 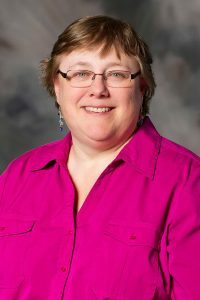 She is on the board (now President Elect) of the American Society for Apheresis (ASFA) and has served on the writing committee for the ASFA evidence-based practice guidelines for many years. She holds adjunct/visiting faculty appointments at multiple institutions including Yale University and Peking Union Medical College. She promotes transfusion safety and outcome-driven medical practice globally. Dr. James Zimring established his lab at the Bloodworks Research Institute in 2012 as a full member and Director of Transfusion Medicine Research. He is also a Professor in the Department of Laboratory Medicine at the University of Washington School of Medicine. He undertook his academic training at Emory University, where he was awarded both a Ph.D. in immunology and a medical doctorate. He is a diplomate of the American Board of Pathology with certification in Clinical Pathology. He served as Director of Basic Researlisach at the Center for Transfusion and Cellular Therapies at Emory University and has been awarded a patent on a novel method of generating monoclonal antibodies. Dr. Zimring has published more than 100 articles in transfusion biology, authored numerous book chapters, and edited a textbook on transfusion medicine. He is recognized as an international expert in the field of transfusion biology, and is frequently invited to lecture at medical and scientific forums worldwide. He has also served on over 20 grant review panels at the National Institutes of Health, for the Department of Defense and with numerous international foundations.